NEW BRITAIN - When it comes to owning and running a business in the New Britain area, it helps to be a member of the Greater New Britain Chamber of Commerce. 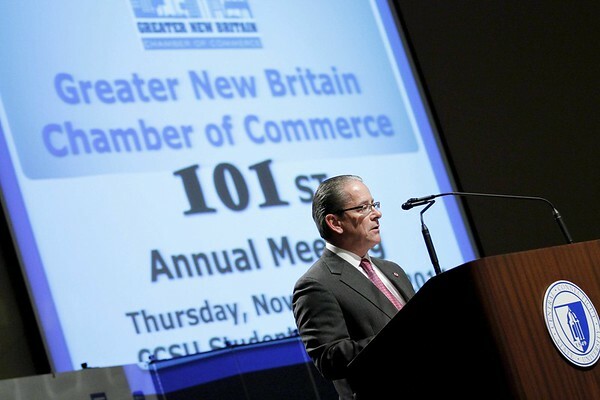 Located in the CCSU Institute of Technology & Business Development building, the membership-based organization has been the business voice of New Britain for over a half-century. The Chamber is made up of various nonprofit, manufacturing, health care, educational services and small to mid-sized businesses, and provides its services to more than 400 businesses in the area. The Chamber has a 27-member board that includes law professionals, educators, accountants and members of the communications and medical industries. Posted in New Britain Herald, Business, on Tuesday, 13 November 2018 20:37. Updated: Tuesday, 13 November 2018 20:39.